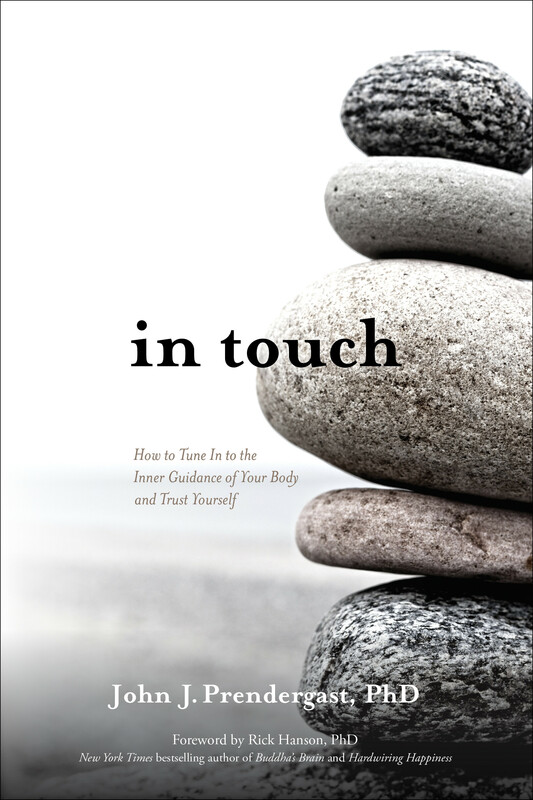 In Touch is a book to help us recognize and strengthen our felt-sense of inner knowing through a combination of profound wisdom teachings and practical methods drawn from spirituality, psychology, and science. "John is the most gifted and humble psychotherapist I know. His heart and presence match his infinite wisdom!" Re-enlisting the body Review by Michael T.
“In Touch” has had a powerful impact on my sense of where I am on my spiritual path and how to proceed. In particular, it has helped me to open to present awareness at any moment by making somatic contact with my body. John identifies for the first time a set of “somatic markers of inner knowing,” specifically; a relaxed groundedness, inner-alignment, openheartedness and spaciousness. Each of these experiences has become very familiar to me over years of practice, but I had never focused on them as practices in themselves. Doing so has had a powerful impact on my ability to use my body to make contact with the moment, and with awareness itself. The experience, for me, is one of falling out of my mentally constructed world and into a sweet and open presence. I feel a deep gratitude to John for his work here and I recommend the book to anyone who is on a spiritual path to inner knowing. When can we hear an audio version of these fabulous embodied inquiry practices which will be masterfully offerrd by John? This Essential collection of practical teachings and skillful means for awakening and integrating have not been found anywhere else in my 30 plus years practicing somatic therapies and meditation. John is the most gifted and humble psychotherapist I know. His heart and presence match his infinite wisdom! The only thing lacking from this book is an audio version of all of that impeccable meditative practices and inquiries! Sounds true when can we look forward to this addition? John's mellifluous voice and embodied presence will add a depth of transmission that will be deeply appreciated by all. I've been a licensed psychotherapist for 23 years specializing in somatic based spiritual psychotherapy, I wish John's book had been part of my training! This book should be required reading ( with practicums) for all counseling psychology graduate programs and somatic-based therapies.